The first week of July is very busy for me. 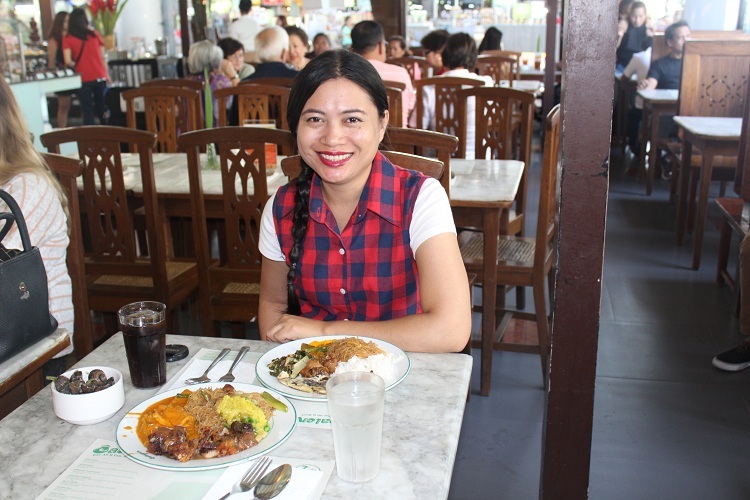 Straight from a scheduled photo shoot, my husband and I arrived to dine at Cabalen that is located in Market! Market! Bonifacio Global City Taguig, Philippines. It is a well-known eat all you can restaurant in the metro that food lovers usually visit from time to time. It was my idea to have lunch in the said eat all you can restaurant because I really like their place at Cabalen in Glorietta Makati City. 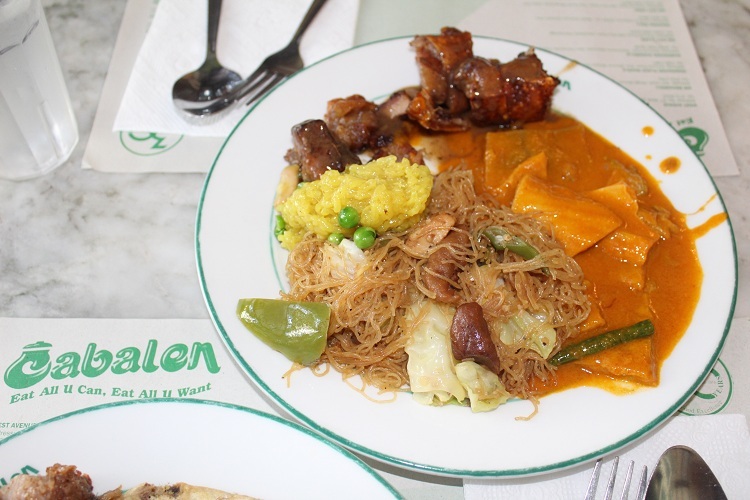 Based on my previous post, I can see in the photos familiar dishes and that means I really have my favorite choices at Cabalen. Cabalen at Fiesta Market! Market! One of the reasons I chose Cabalen at Fiesta Market! Market! is accessibility. It is located near our place and so convenient for me to dine there after picture taking for the blog. There are times that I just want to enjoy a fiesta setting during lunch so I visit this place from time to time. My outfit for the dining experience is so simple - I preferred wearing a gingham vest, a white Uniqlo t-shirt and a structured skirt. For my footwear, I just donned a pair of black shoes so I will be comfortable for the lunch out. My hair is braided and styled on one side since it is part of the look that I had for the fashion shoot. Cabalen is located near Gerry's Grill just before the main entrance of the mall at Market! Market! in Bonifacio Global City Taguig. It is clean and well-maintained so you don't have to worry about its ambiance. I suggest that you check their discounted seats for dinner from time to time. I really wanted to try it if I am not busy but I wasn't able to avail one. When I saw that they offered discounted eat all you can meals, I was busy preparing for work. Budget For Lunch Out at Cabalen Market! Market! Our budget for the dining experience is more than P600.00 and it is more than enough to eat all you want at the restaurant. My husband and I love fiesta dining so it was perfect. Sometimes you will need to pay additional P60.00 for the drinks so you have to watch out for that. Food Review of Cabalen Restaurant at Fiesta Market! Market! I would be honest with you - I am thrilled to eat fried fish at Cabalen. It is just a simple way to enjoy seafood without spending more time preparing it. I love seafood dishes so those are my first choices when I eat at an eat all you can restaurant. Aside from that, I love their kare kare because it is well-cooked since the taste is just perfect. Even if I'm after the vegetables, I really love the whole of it. 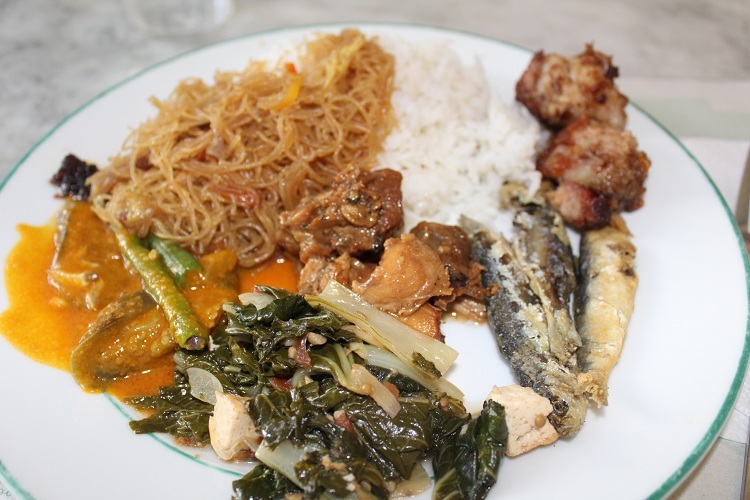 There are other well-prepared food products at the Cabalen, including desserts and native snacks. By the way, ice cream is not served here. I am not sure if they're not really serving it since we had ice cream at Cabalen Glorietta branch. Want to share your fashion and travel ideas? Just connect with me through my Facebook Page, Instagram and Twitter. Take care and good luck!